Just few weeks after announcing the Infinix Hot S3, Infinix has finally decided to officially launch the device in Nigeria. 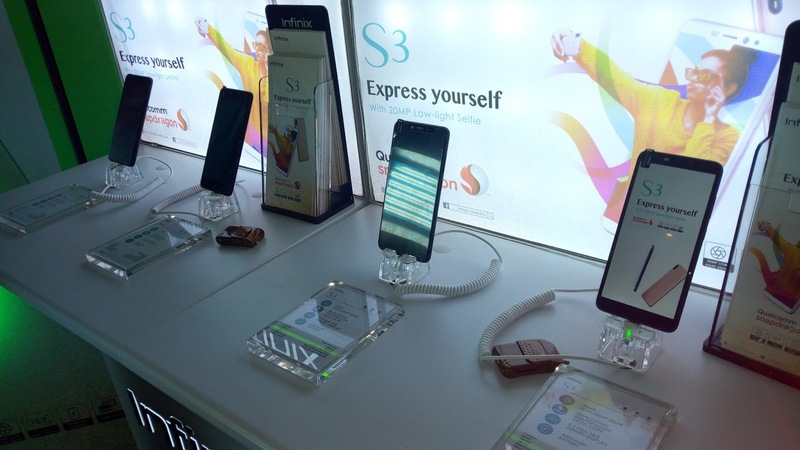 The device which is the first from Infinix to feature a Qualcomm Snapdragon chipset was initially launched in India but it's now available for Nigerian users. The launch event took place on Thursday March 22nd at the L'eola Hotel Maryland Lagos. 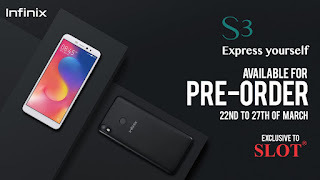 The Infinix Hot S3 is currently available for pre-order only at the moment and it's exclusive to Slot Nigeria. 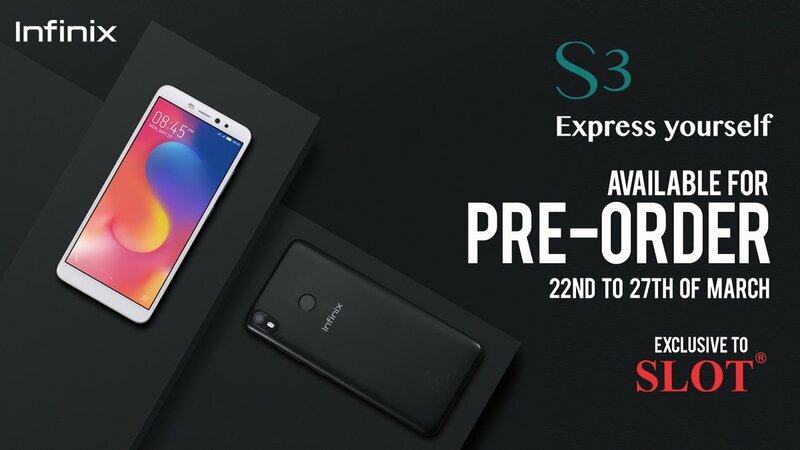 You can pre-order the Hot S3 with just 2,000 at any Slot outlet both online and offline. The first 1000 people to pre-order will receive shopping vouchers and gift accessories. The Infinix Hot S3 is an entry level smartphone which features a 5.7-inch 2.5D full view HD+ display with a resolution of 1440 x 720 pixels and 18:9 screen ratio. It also runs on XOS V2.3 which is based on the latest Android 8.1 Oreo. The device is powered by Qualcomm's Snapdragon 430 chipset with a 64 bit Octa-core processor clocked at 1.4GHz. It comes with a 3GB RAM and a 64GB internal storage which is expandable to up to 128GB through the SD Card slot. The Hot S3 sports a 20MP Sony IMX376 sensor low-light front facing camera with a 3 levels dual soft flash-light. It also comes with a 13mp dual rear camera setup which offers 80-degrees wide angle as well as a dual flash. The device is equipped with both the Face ID and fingerprint sensor. It's packed with a massive 4000mAh battery and also comes with a dual Nano SIM card tray as well as a Micro SD card tray. Other features of this phone includes Bluetooth 4.2, OTG support, Wi-Fi, 4G VoLTE, and a 3.5mm headphone jack. Sensors on the phone include Ambient Light sensor, Proximity sensor and G-sensor. The Infinix Hot S3 will retail at N62,200 in Nigeria. It will be available in Sandstone Black and Brush Gold colour options.